Posted June 5th, 2013 by admin & filed under Uncategorized. 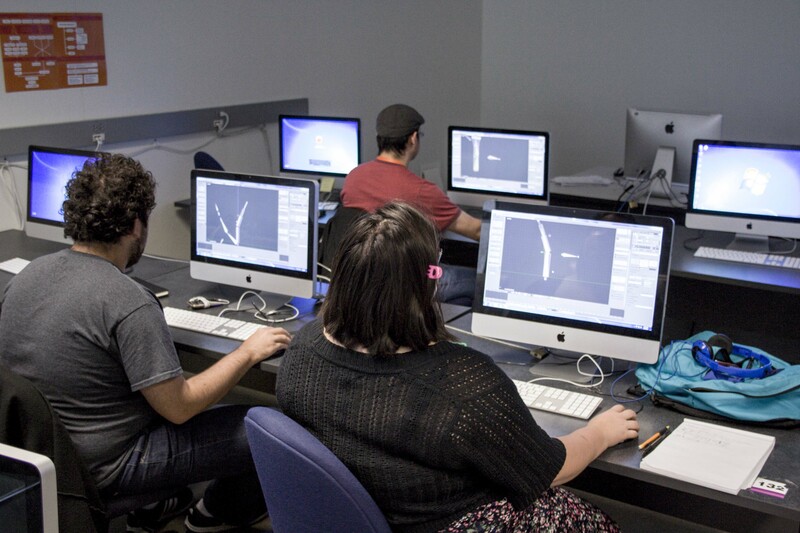 Today the Visual Artists team spent the morning learning the basics of animation. Throughout a lesson on the twelve-principles (which related to 2D hand-drawn characters as well as 3D), the students were introduced to the various subtleties of movement which give originality, personality and (most importantly) LIFE to a character or even an environment (eg: swaying seaweed in an underwater setting). We analyzed some great, contemporary examples such as the horse, Maximus, in “Tangled”. Though a dialogue-less side-kick, he had definite skills, morals and intelligence all showcased through his animations alone. The dragon Toothless in “How to Train Your Dragon”, upon more closely critiquing his movements, was obviously based off of a feisty kitten. Onto putting said lessons into practice, Andrew opened up Blender and began to teach Skeleton tools: that is to say, building a hierarchy of bones and joints that correspond to the bending-points in a typical human body. After the Skeleton came Skinning; which is the process of assigning a joint various degrees of control over clusters of vertices on the model. Finally, as a slightly more advanced lesson, we discussed the pros and cons of using an IK (inverse kinetics) rigging system, or an FK (forward kinetics) one. Though more difficult to setup, an IK systems automatically adds constraints to a model (such as the feet staying planted to the ground and forcing the knees to bend when the character’s hips are lowered) which saves a lot of time and potential errors when creating full-movement animations such as running. It was one of the most advanced, difficult lessons yet, but the group tackled it admirably. Soon, everyone will be prepared to rig as well as animate their nearly finished models! 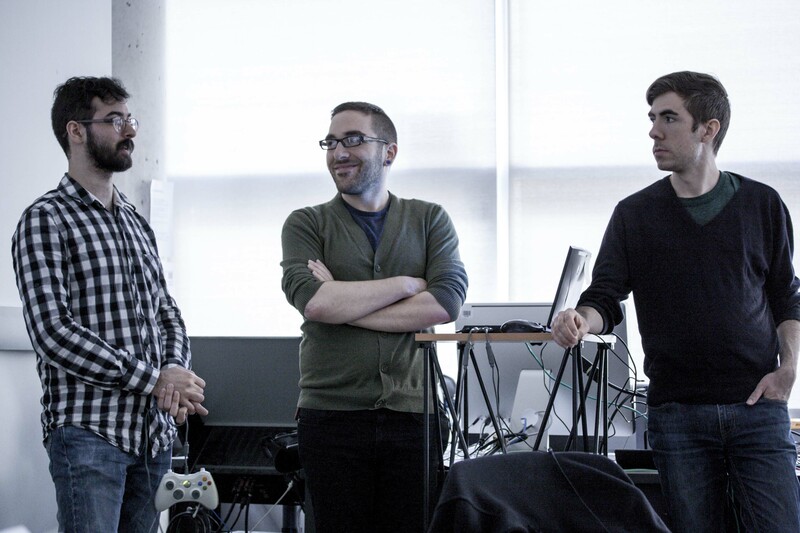 After lunch, the group had a break from production to meet the indy-game developer team, KO-OP Mode. 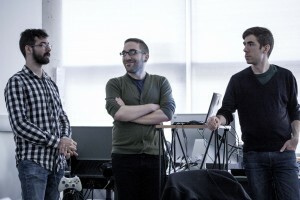 They presented to us their projects as well as some realistic warning on what can and must be sacrificed in order to do what you love within such a competitive industry. On the Gameplay Artists’ side, due to technical difficulties they were not yet able to access the SFX bank to begin sound implementation, but instead improved their level maps and the game mechanics. 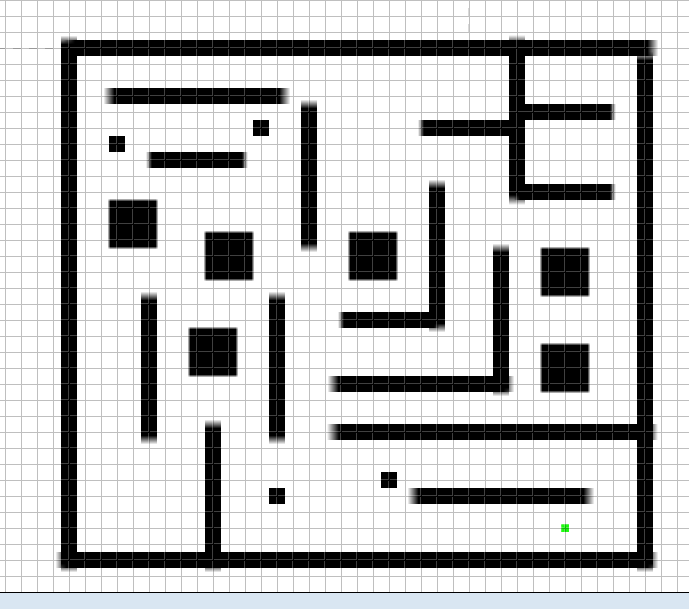 By the end of the day, we had two mazes to explore and a rough draft of a challenging boss battle! Things are quickly being produced on both teams, with all character models in progress as well as the 5 level map sections. In addition, the script is nearly complete so that we can start voice recording for the cutscenes soon! We cannot wait to put everyone’s work together and see our amazing, final game.